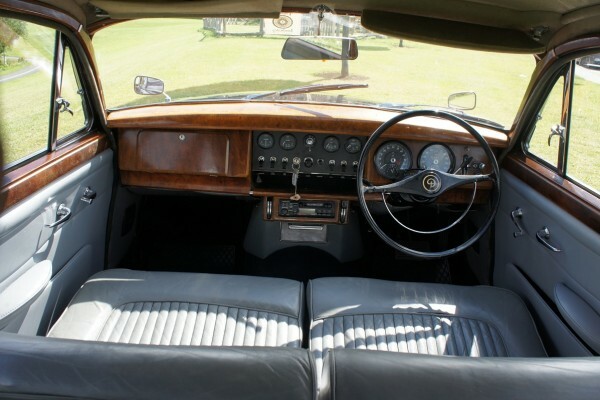 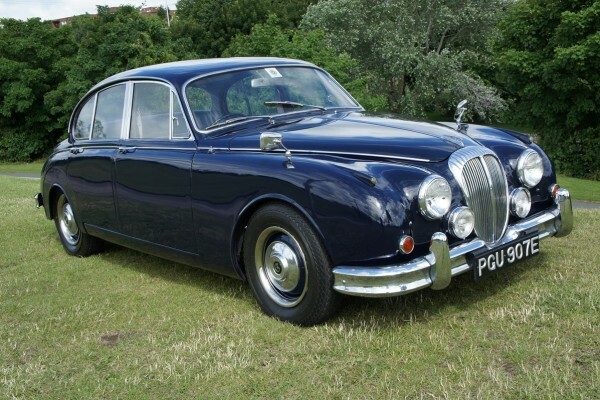 Daimler 2 ½ litre V8 1967. 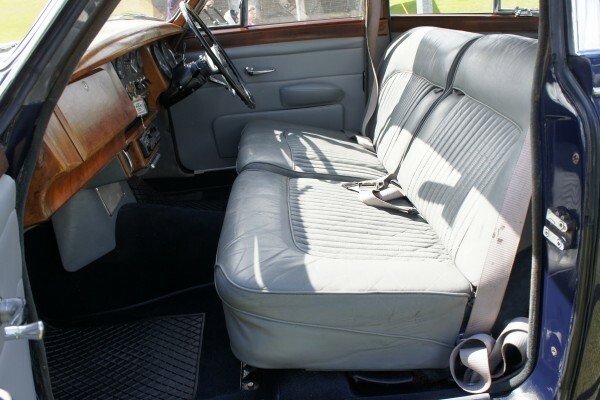 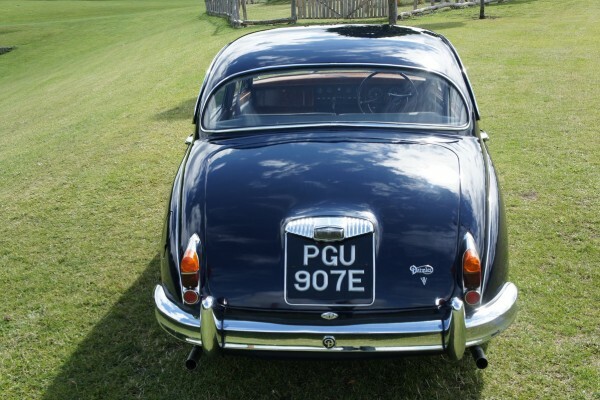 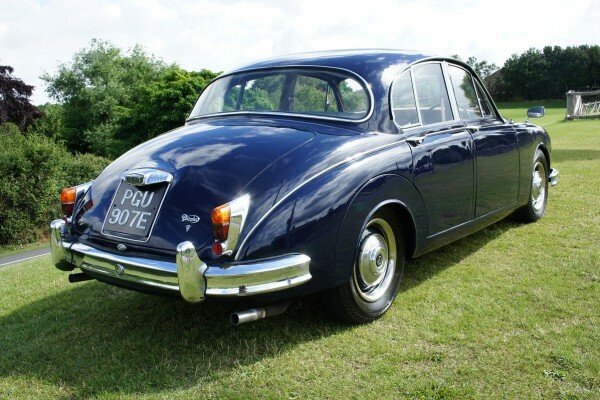 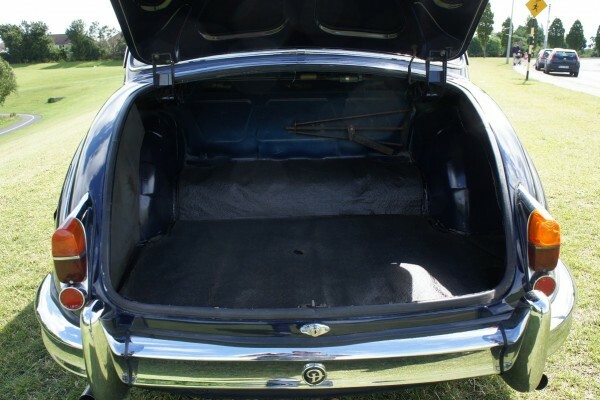 This lovely Daimler 2 ½ litre V8 is Dark Blue with Grey Leather interior, grey headlining and blue carpets. 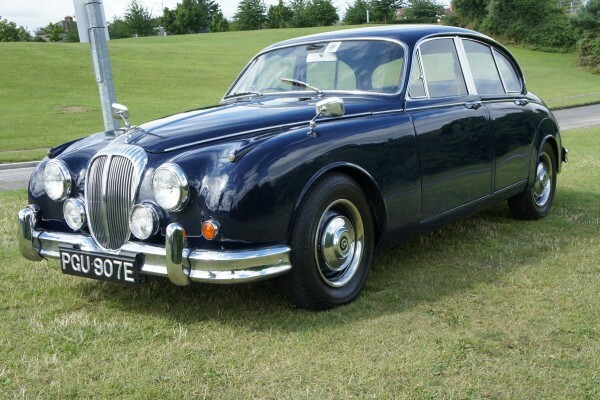 It is the Wide Bumper model and has body coloured steel wheels with Daimler hub caps and veneered dash roll. 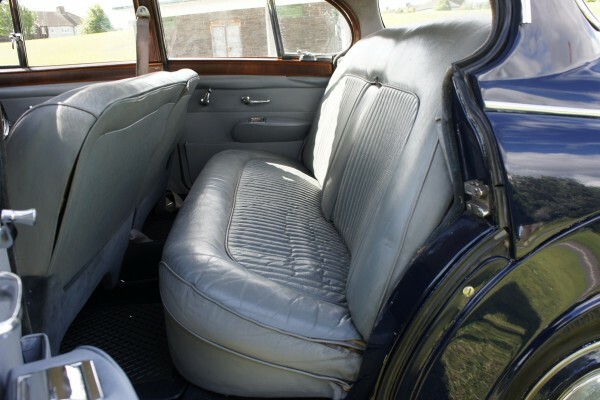 Only 2 owners since 1978, the car has been lightly used during this time and was declared off the road since at least 2000. 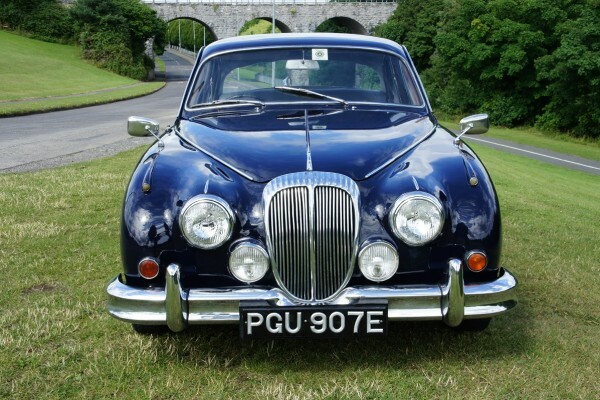 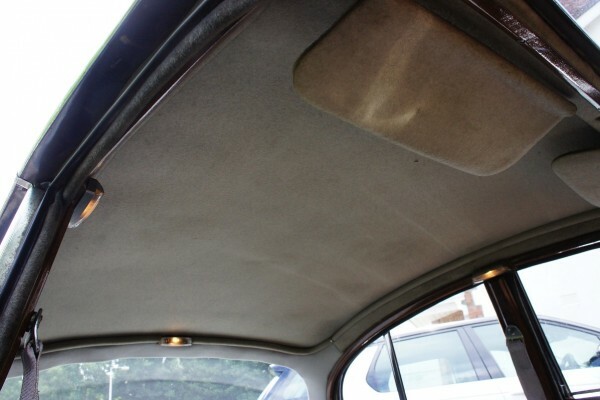 A comprehensive service history covers the period 1978-1986 and reveals that the car has had a major engine rebuild at 60,000 miles and body restoration prior to that. 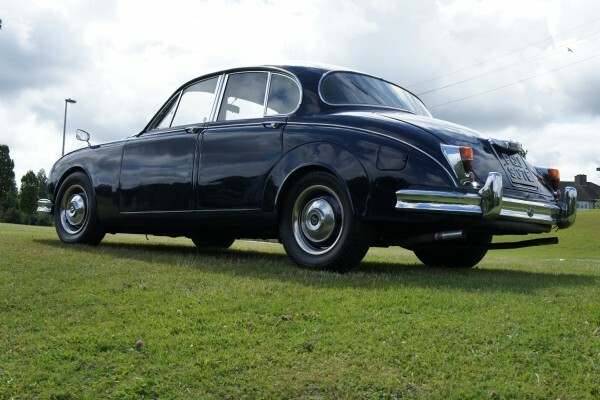 A stainless exhaust was also fitted. 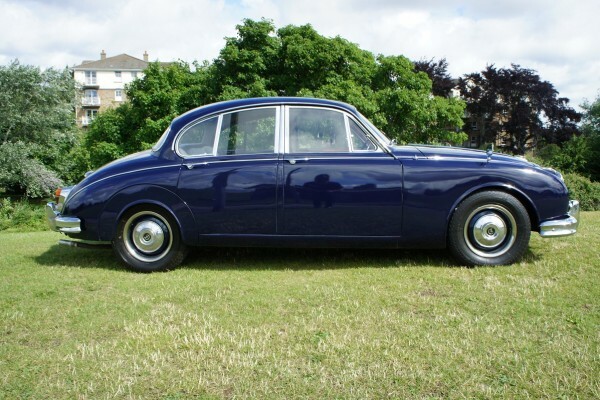 The car has just been recommissioned for the road with new brake pads and discs fitted. 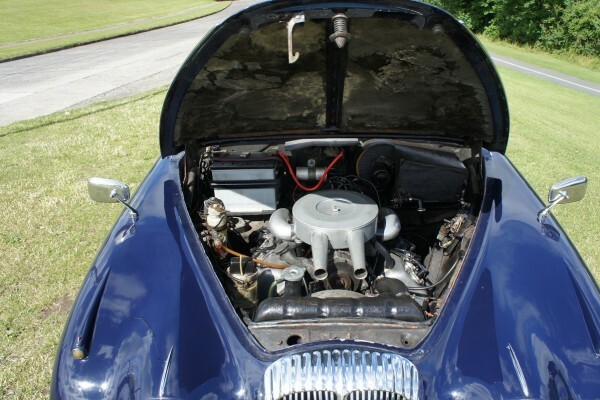 An overhaul of the cooling system included having the radiator rebuilt along with new water pump and viscous fan. 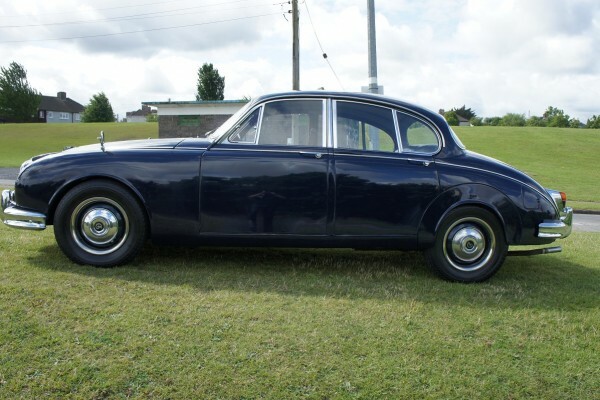 Comes with old V5, several old MOTs and history file.